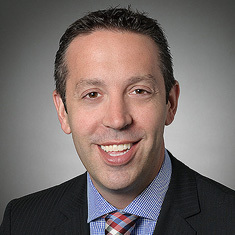 Bret J. Danow focuses his practice on trademark licensing and brand protection with a concentration in the fashion industry and regularly counsels clients in the apparel, sporting goods, publishing, education, entertainment, liquor, banking, financial services and consumer electronics industries. He has worked at Katten Muchin Rosenman LLP for his entire career, spanning more than 18 years. Bret represents clients in developing, building and administering the worldwide licensing, exploitation, searching, clearance, registration and enforcement of trademarks, logos and domain names and works with all clients to develop strategies to protect their valuable intellectual property assets worldwide. Together with Katten partner Karen Artz Ash, Bret writes a column that appears 10 times a year in Managing Intellectual Property magazine. Shown below is a selection of Bret’s engagements.